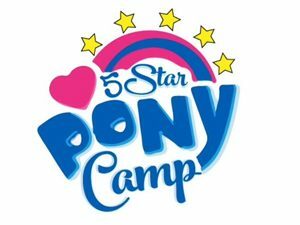 5 Star Pony Camp - School holidays your children will remember forever! Our Pony Camp creates school holidays they remember forever! At The Pony Academy we pride ourselves in creating school holiday activities that will produce childhood memories that last a lifetime. Our Pony Camps are wholesome, educational, outdoor fun in an enriching environment that boosts your child’s confidence. Spending time around ponies has the added bonus of equipping your child with life skills that last them a lifetime: leadership, team work, assertiveness, compassion, cooperation, awareness. We cater to all levels of experience, from first times to regular riders and operate in small groups to ensure personal attention to each child. 5 and 6 year old: 10am to 1pm: £40 for one morning or £160 for 5 mornings.